Rob Prinzo of The Prinzo Group is an expert on Project Management. His book "No Wishing Required: The Business Case for Project Assurance" outlines his PM method, yet before publishing there was no way to visually introduce and train project teams. 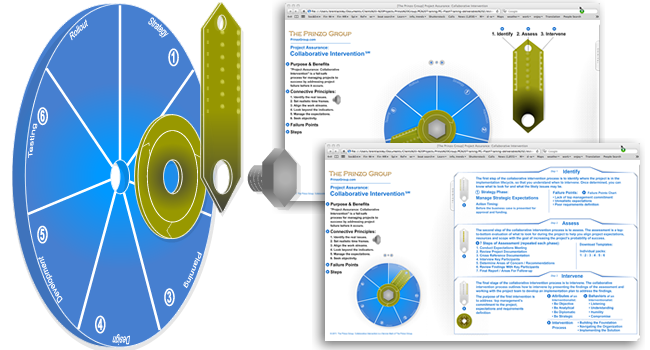 GoFullSpeed studied the methodology and created an interactive model used to explain, train and brand Rob's methodology and process.